Welcome! Delta Junction Invites You to do Business or Relocate Here! Delta Junction is home to a wide variety of businesses, as well as local, state & federal government branch offices. Our area also hosts many private organizations. The character of Delta Junction has changed dramatically over the years. 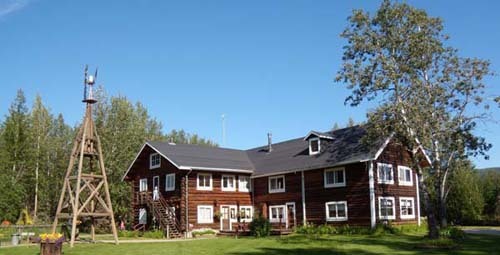 The community originally centered at the junction of the Tanana and Delta rivers and was called Big Delta. Rika’s Roadhouse was an important part of community life in the early part of the twentieth century. Rika’s Roadhouse. Learn more of this fascinating story by visiting the Roadhouse, refresh yourself at the Restaurant and enjoy the gift shop. Free admission to the park! Dump station available. World War II changed the sleepy nature of the community. Fort Greely was the economic mainstay of the community for most of the second half of the 20th century. A nationwide effort to close or realign US military bases took its toll on Fort Greely. Today, the base continues Cold Regions Test Center programs, but at much lower staffing levels of military and civilian workers. The history of Fort Greely began in 1942. You can learn more about Fort Greely here. Agriculture was an early and obvious possibility in this broad valley. A large project underwritten by the State of Alaska in the 1980’s brought hundreds of thousands of acres under cultivation. Today, the complexion of the agricultural area has changed, but energetic farmers continue to grow grains and vegetables and raise dairy herds and even game animals. Gold mining activities are accelerating in the area. 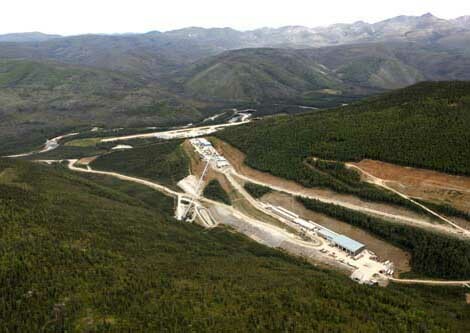 Northern Stars Limited purchased Pogo Mine The mine is an underground gold mine located 38 miles northeast of Delta Junction, Alaska. The mine feeds gold ore to the mill at a rate of approximately 2,500 tons per day and the property produces between 350,000 and 380,000 ounces of gold annually. The currently expected mine life projects operations through 2019, but significant exploration work is underway with the hope of extending the mine life. Current reserves are in excess of 2.7 million ounces of gold. On July 31, 2012 the two-millionth ounce of gold was poured at the Sumitomo Pogo Mine. The reduction of size of Fort Greely changed the character of the community, but Delta Junction continues to push forward and diversify its economy. 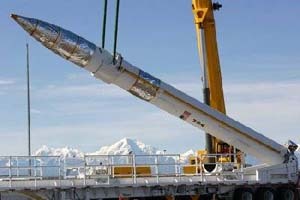 The decision to develop a portion of the Ft. Greely installation as a test bed for the National Missile Defense system produced a local boom in our city’s economy.